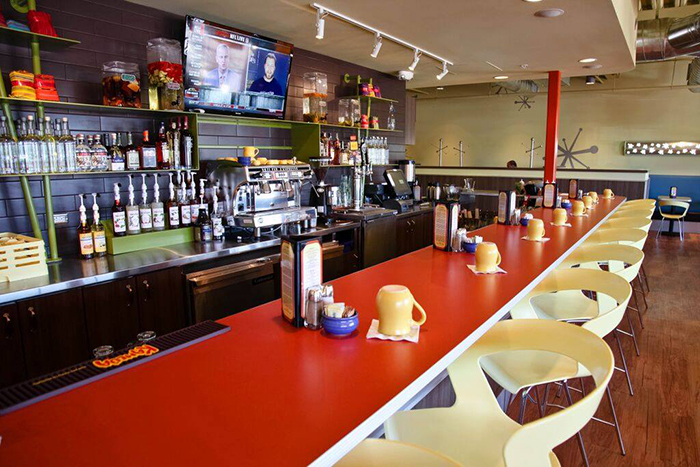 Snooze: an A.M. Eatery, a popular Denver-based breakfast, lunch and brunch spot is coming to Plaza Midwood. 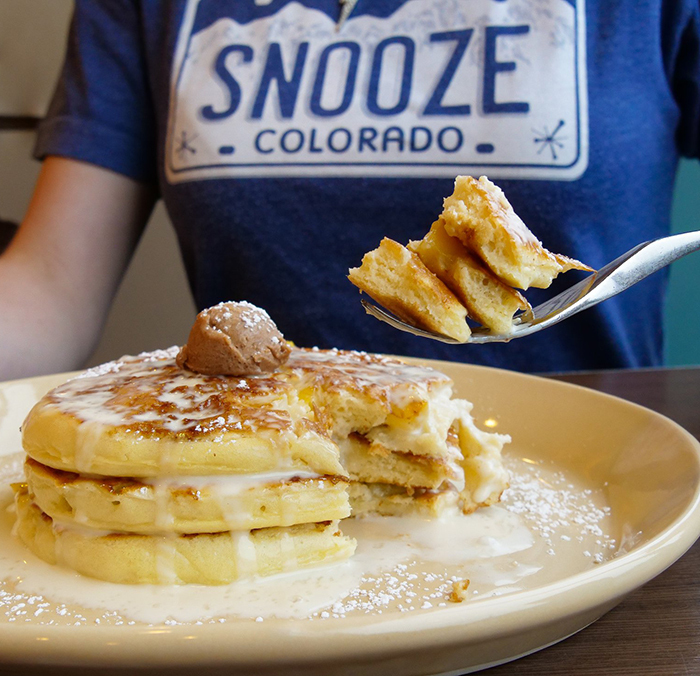 It’ll be located in the same building as the new Yafo Plaza Midwood at 1331 Central Ave.
Snooze has 30+ locations with most in Colorado, California, Arizona and Texas. 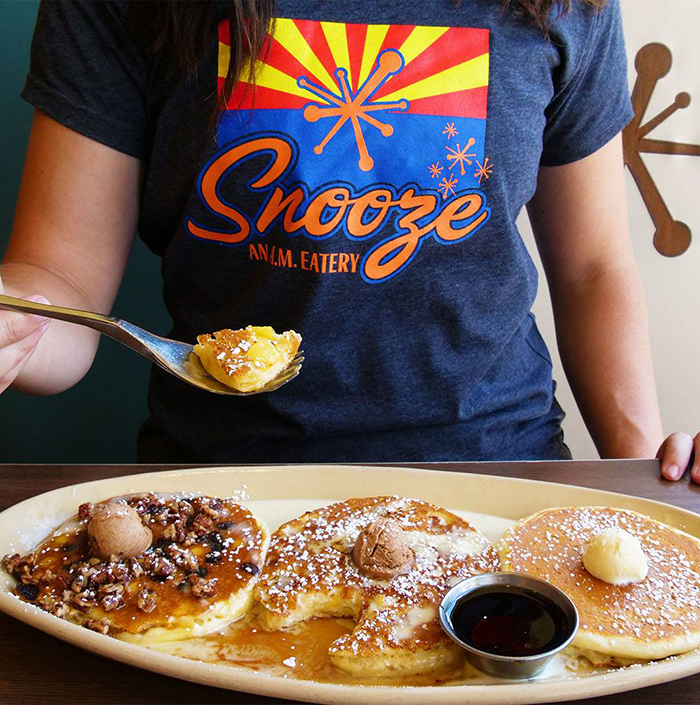 According to their website, this will be Snooze’s first east coast location. The restaurant is currently in permitting and should open early next year. 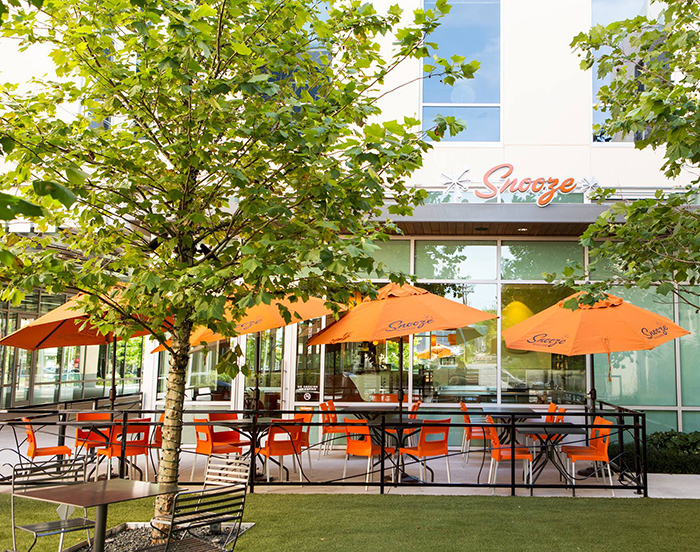 Sweet Potato Pancakes – signature sweet potato buttermilk pancakes topped with homemade caramel, candied pecans and ginger butter. 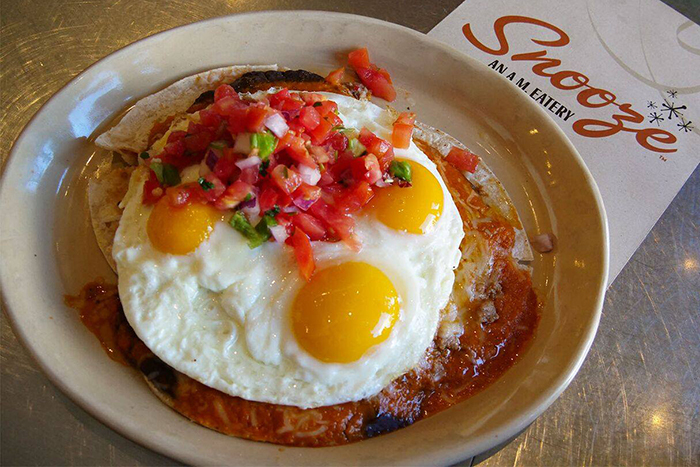 The Snooze Classic – farm fresh cage-free eggs cooked any style and your choice of ham, bacon, sausage, chorizo, pulled pork, chicken sausage or soyrizo. Includes hash browns, choice of toast. 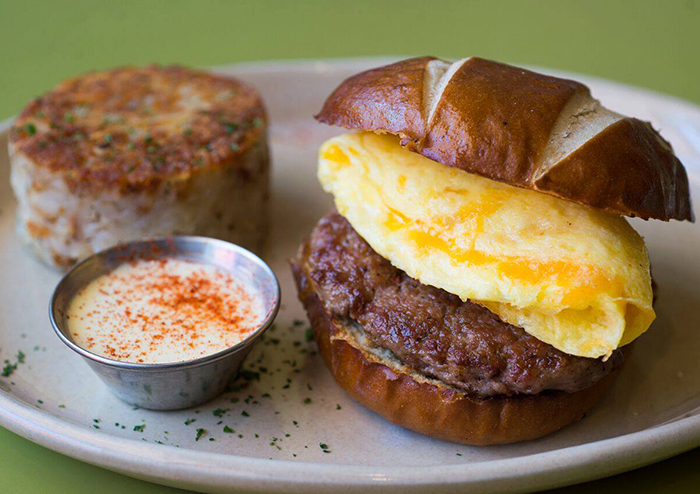 Sandwich I Am – soft pretzel roll filled with scrambled eggs, cheddar cheese and a sausage patty, served with a side of smoked cheddar hollandaise & house hash browns. 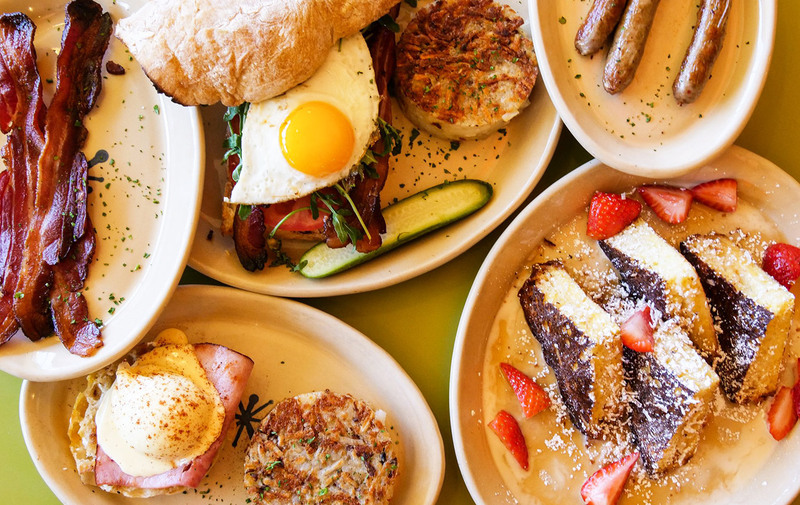 Smashed Avocado Benny – signature English muffin topped with fresh smashed avocado & green chili, parmesan cheese, vine-ripened tomatoes, two poached cage free eggs, smoked cheddar hollandaise and everything spice. 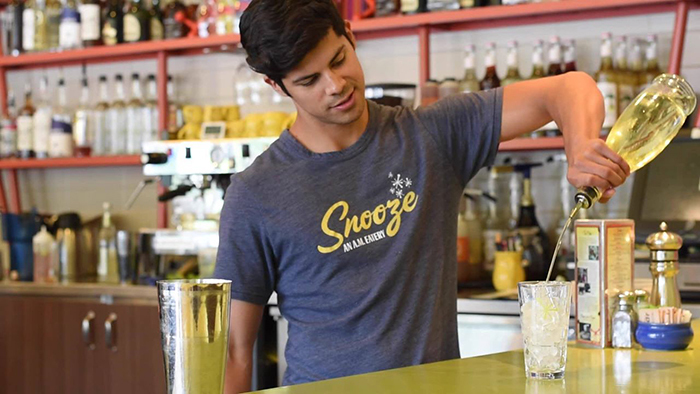 In addition to food, Snooze also has a serious “morning cocktail” menu that includes mimosas, Bloody Marys, mules, margaritas and mojitos. Al photos are from their Facebook page and you can follow them on Instagram as well. 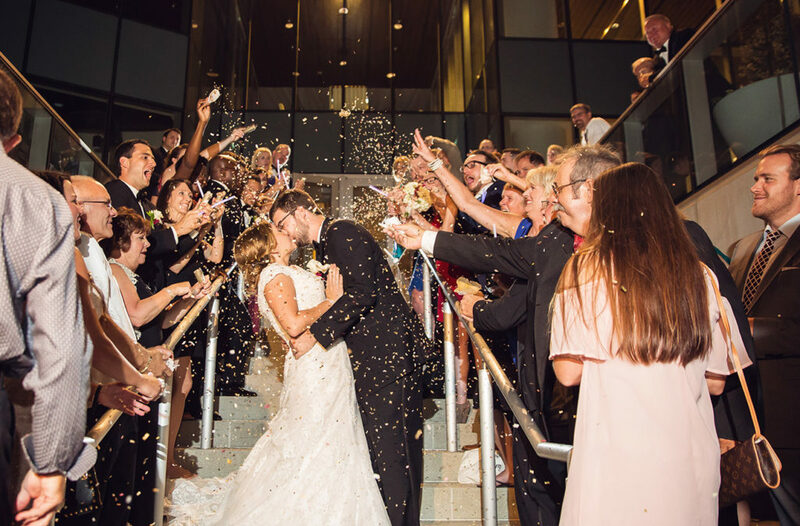 Photos, including cover photo via Snooze’s Facebook page.